The OL Foundation administration council, presided by Bernard Lacombe, defines the strategy and the priority of the actions to conduct. Its role is also to frame the projects selection committee and the operational team who manage the OL Foundation activity daily. 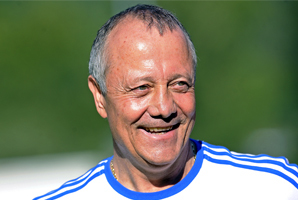 Club symbol, Bernard Lacombe is also engaged for many years with different associations. In 2011, he accepted to succeed to Sony Anderson and to take the presidency of OL Foundation to continue to implicate himself in the projects monitoring. Composed of Olympique Lyonnais representatives and OL Foundation partners, the selection committee meets regularly to decide on the support to give to the associations and define the general interest actions to implement during the season. Follow also OL Fondation news on Facebook and Twitter !